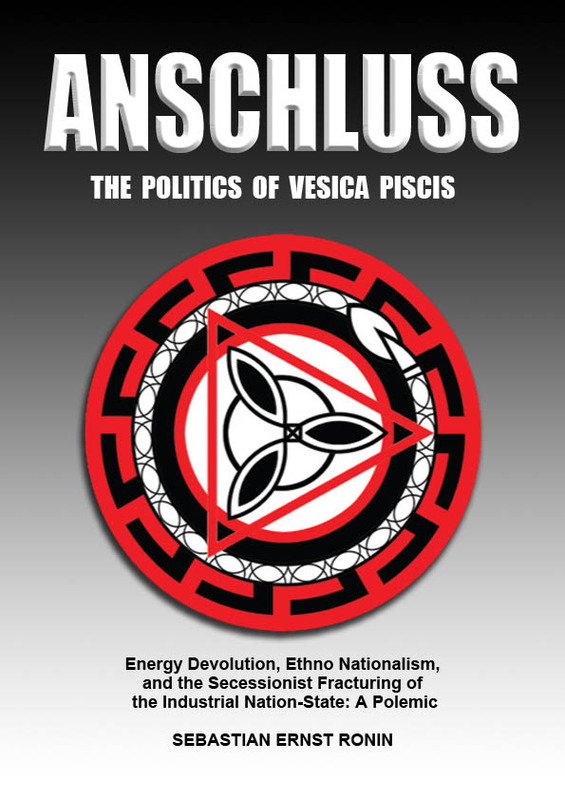 A stand-alone blog for discussion of the book, "Anschluss: The Politics of Vesica Piscis." Here are some of the earliest Amazon reviews since the publicaton of Anschluss on October 17, 2013…by people who have actually read the book. ANSCHLUSS is a ground-breaking work that pulls into focus the inter-related political dependencies of North Amerikan Ethno Nationalists, Preppers, and Secessionists. The bold claim that all three rising demographics either succeed together against the onslaught of Globalization or fail individually leaves the reader with few comfort zones. Ronin has pointed at a door that few will open, let alone venture through. Underlying the several themes that run throughout this polemic is the argument that the Radical Right and the Radical Left have more in common than they do not. The last hurdle to bridge is that of race and ethnicity. The hypothetical bridge constructed with an Ecology of Race and Ethno Nationalism takes readers from both camps into the hybrid of a new ideological and political dimension. This is not a book for the ideologically faint-hearted nor for political reformists. It is a must read for all Ethno Nationalists, Preppers, and Secessionists who are prepared to do what they must do as opposed to what they would merely prefer to do. For better and for worse, ANSCHLUSS will go down as a game-changer at these most crucial of times as the Globalist boot begins to come down seriously and hard. This work will be a benchmark for many years to come. SEBASTIAN ERNST RONIN was born in Vienna, raised in Toronto, and lived most of his adult life in Vancouver. As a widower, he now lives a Prepper lifestyle in rural Nova Scotia. He is one of the most respected, though not always liked, secessionist voices in North Amerika. Mr. Ronin has been the driving force and is the current President/CEO of the Renaissance Party of North America.